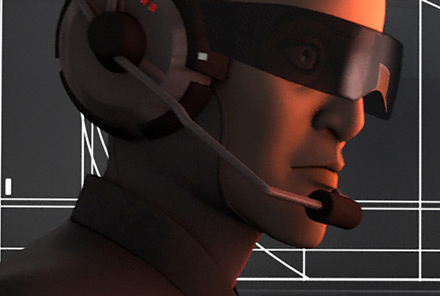 Description: 3-9 was a human male listener who served the Galactic Empire's Information Office under the command of the controller LT-319 in 2 BBY. He was stationed aboard an IGV-55 surveillance vessel. One of his colleagues was a female intelligence officer. 3-9 and his colleagues took part in an operation to hijack rebel droid Chopper and discover the location of Chopper Base. 3-9 and his colleagues perished when the rebel Hera Syndulla transmitted a data surge that overwhelmed their ship's systems, causing it to explode. 3-9 was an Imperial intelligence officer who served aboard an IGV-55 surveillance vessel during the Age of the Empire. 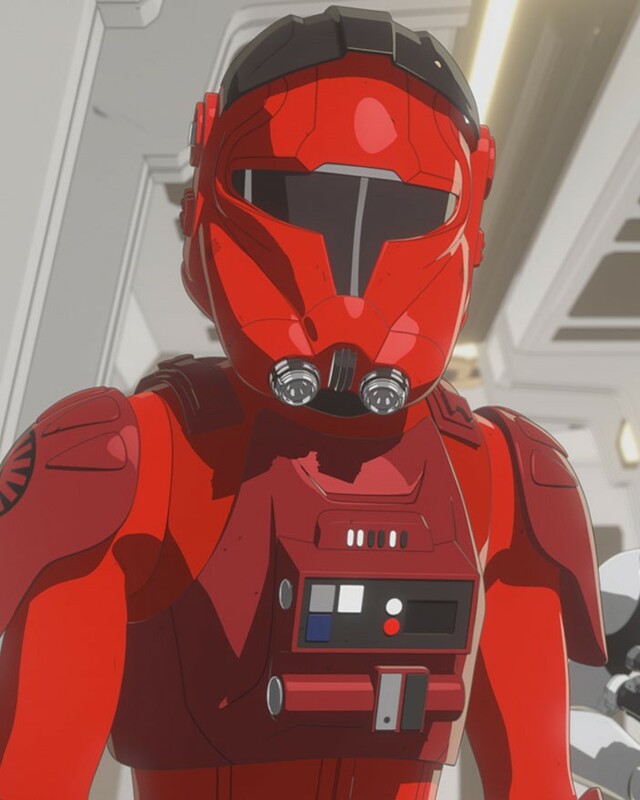 He was part of a group of individuals led by Imperial Controller LT-319 who gave up their autonomy and wore cyborg constructs. 3-9 was part of a psychological warfare operation by the Galactic Empire to combat the growing Alliance to Restore the Republic. His team was part of Grand Admiral Thrawn's efforts to gather intelligence on rebel activities. In 2 BBY, 3-9 was stationed aboard his IGV-55 surveillance vessel when the rebel droids Chopper and AP-5 passed through the sensor outside the Imperial Security Bureau's station on Killun 71. 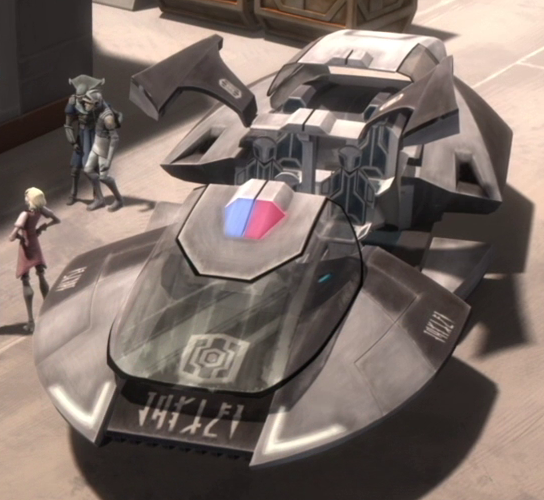 Chopper and AP-5 had been sent by Phoenix Leader Hera Syndulla on a mission to steal clearance codes for an upcoming raid on the planet Lothal. Chopper's presence was detected by 3-9, who alerted LT-319. LT-319 rightfully suspected Chopper to be the rebel droid that Thrawn had warned about and ordered his crew to set a course for Killun Station. Under the Controller's orders, 3-9 tracked scan 7161, which turned out to be the Sentinel-class landing craft that Chopper and AP-5 had traveled in. After 3-9 confirmed this fact, the Controller checked the archival data on unregistered rebel droids and found that Chopper was an outdated C1-series model; the same model that Grand Admiral Thrawn had referenced in his manual on the Phoenix Cell. 3-9 suggested alerting Killun Station but LT-319 decided to slice into Chopper's systems so that they could find the location of the Phoenix Squadron's base. Monitoring Chopper through surveillance cameras, 3-9 discovered that Chopper was toying with a network terminal while waiting for AP-5 to collect the clearance codes from the central computer core. Under LT-319's orders, 3-9 "captured" Chopper by using the terminal to remotely reprogram the droid. After taking over Chopper, 3-9 found that the droid's memory banks did not contain the location of the rebel base. Undeterred, LT-319 ordered Chopper to accompany his fellow rebels back to their ship. Chopper traveled with AP-5 and their pilot Wedge Antilles back to the Spectres' rebel cell's VCX-100 light freighter Ghost. Under LT-319's direction, Chopper brought the Ghost out of hyperspace and trapped his fellow rebels in the cargo bay. 3-9 monitored the situation and was present when LT-319 ordered Chopper to install a data spike into the rebel ship's navigation computer. LT-319's plan however unraveled when the rebels regained control of their ship and Chopper. Chopper's owner Hera retaliated against the Imperial intelligence officers by reversing Chopper's data feed back at the Imperial surveillance vessel. As Hera launched her counter-attack, 3-9 reported that their circuits were overloading while his female colleague reported that their fuel cells had been compromised. Shortly later, the surveillance vessel exploded with all hands aboard. 3-9 was a male Imperial intelligence officer who worked on an IGV-55 surveillance vessel. In his service to the Empire, he gave up part of his autonomy and wore a cyborg construct. 3-9 used his technical skills to reprogram the rebel droid Chopper from afar. Despite his skills, he was unable to deal with a data surge created by the rebel Hera Syndulla, which destroyed the surveillance vessel and all hands aboard including himself.